I just started a few months back collecting MS70 silver coins, wish I had some from 1999 now! wow. Happy Monday to this weeks winners of the: $10,000,000 Silver Giveaway! It’s fun to see yet another friend of mine win, this time it’s Pete Mittanck﻿! Whats better then watching Iron Man eat a waffle cone while juggling a puppy, a kitten, and a baby beluga whale atop a mechanized elephant super beast that’s leading a parade through Time Square? And were giving away Silver every single day! Congratulations to the newest winners of the $10,000,000 Silver Giveaway! Enter yourself to win at www.GiveAwaySilver.com ! 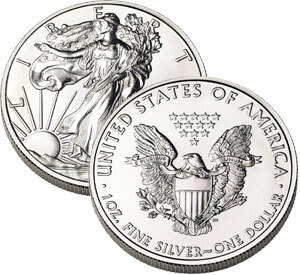 Authorized by Congress in 1985 and first minted in 1986, Silver Eagles are .999 fine silver, the finest silver coins ever issued by the United States. Containing a full troy ounce of silver, the Silver Eagle is guaranteed by the U.S. Government for its content, weight, and purity and has become the most popular silver coin series in the entire world. Struck in .999 fine silver, this uncirculated 2013 American Silver Eagle is graded MS70 by ANACS, the official coin grading service of the American Numismatic Association. This is one coin that you’ll definitely want to have in your collection. Very cool. I collect MS70 Silver coins.